During December 1999 and January 2000 we have enjoyed th e company of many visitors, namely Victor's brother Robert, freshly arrived from Sea Fever in Turkey, Karen drove down from Queensland, Barbara's daughter Kim and granddaughter Samantha flew in from Adelaide, old friends from Nigeria Roger and Gail Halpin came for lunch (they now live in Washington DC), then our Swedish friends were here, Jenny and Peter Falkemar with baby daughter Ina, and their parents, Leith and Inga-Lill Nilsson. Barbara, Victor and Roslyn drove to Adelaide to spend Christmas 1999 with Barbara's daughter Angela at their lovely new home on the hill at Angaston in the Barossa Valley. It was great to spend time with Angela, James, Paul, Melissa and Cameron. We enjoyed a great re-union lunch on Boxing day with Daniel & Tracy & Austin, and Kim & Russel & Samantha. Since then, Barbara went back to Adelaide with Roslyn in February 2000, for a week. 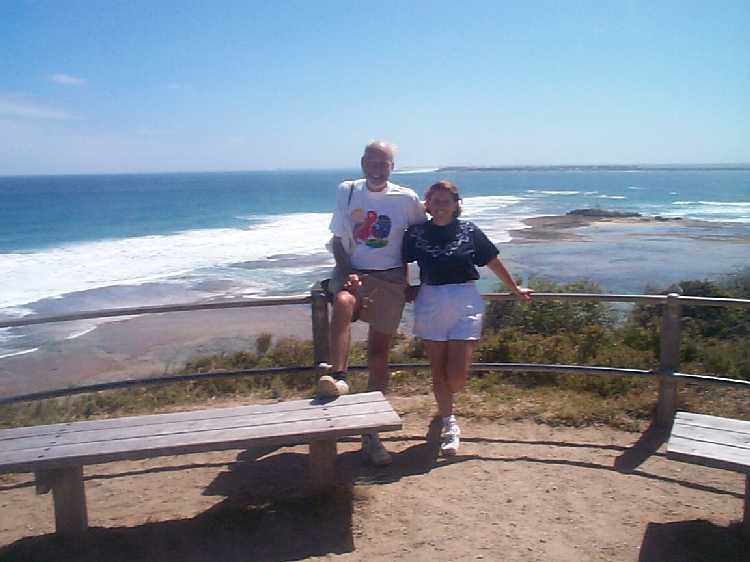 In March, Barbara and Victor took our bikes across the heads to cycle down to Point Nepean. The weather was hot and sunny and we had a fabulous energetic and scenic day. In March we took a 3 day break walking in the Grampians, in Western Victoria. We saw kangaroos and kookaburras in the early morning, they came down to the valley by our motel, in search of greener grass. Barbara went again to Adelaide in April for the birth of her 6th grandson, Alexander, born to Kim on Tuesday 18th April. 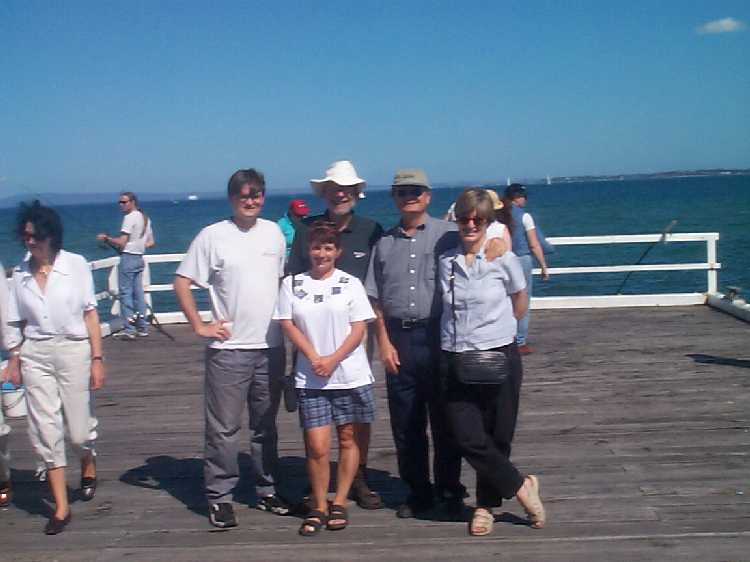 Victor joined her in Adelaide on 20th and we returned together on Easter Monday. 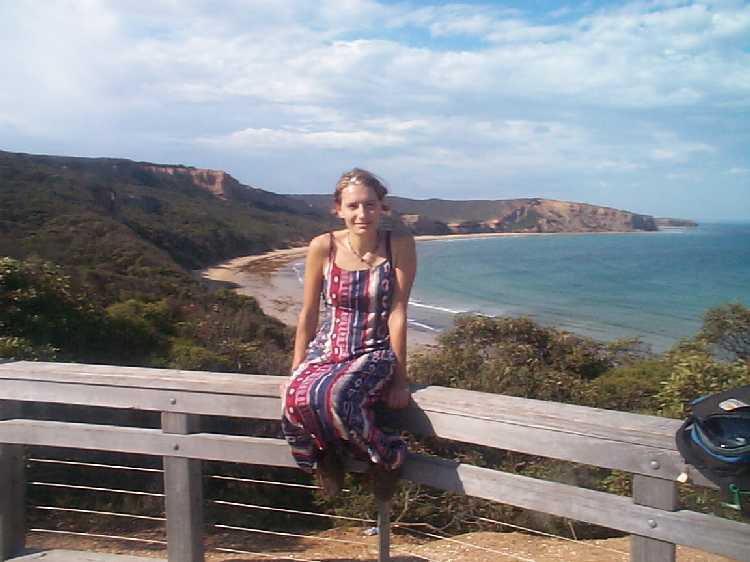 In May we took a one week holiday in West Australia. We flew to Perth, and toured southwards. Please see our holiday page for WA Trip. In July we built new paving and balustrades near the front entrance of our house. We also took a wintry trip to the Mornington peninsula, where we got stuck on a chair lift going up Arthur's Seat, because the electricity went off. Barbara and Victor enjoyed a superb live theatrical performance of "The Sound of Music" at the Princess Theatre, Melbourne, a piano recital by Simon Tedeschi, the Goldner String Quartet at the Fort in Queenscliff, and several fabulous symphony concerts by the Melbourne Symphony Orchestra, at the Costa Hall in Geelong. Barbara started weekly piano lessons in Ocean Grove, and at the end of August she went to Adelaide for 11 days, to see her family. 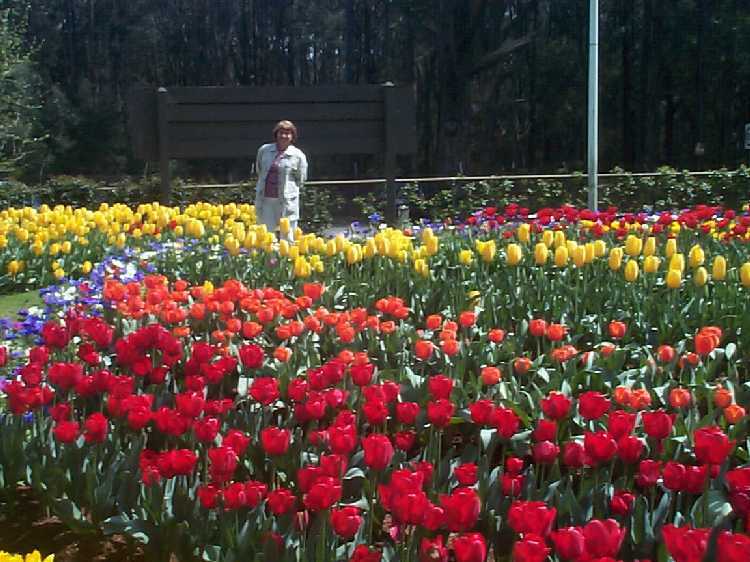 In September we walked in the Ottways, cycled the Bellarine rail trail, visited the tulip festival in the Dandenongs, decorated our music room and back bathroom, and worked on accounting programs to allow for the new GST and Business Activity Statement. After 3 years of near-drought, we experienced heavy rainfall in September and October, and our local Barwon Region water storages are up to 75% of capacity, whereas previously they were down as low as 30%. Barbara's mother and father came to stay with us from Adelaide for 2 weeks in October. The sad news is that Victor's father, Frank Gomersall, died on 3rd November, after a massive stroke. The funeral took place at Leopold Uniting Church on Tuesday 7th November. On 15th December, Victor's brother, Robert, flew in from the Med, to stay with us for 15 weeks. One week before Christmas, we enjoyed a "Christmas" lunch with Chris, Robert and Heather. It was a hot day 35degrees, and some of us swam in our pool. We regraded our driveway with new crushed rock, and Robert helped me use a whacker to level it. 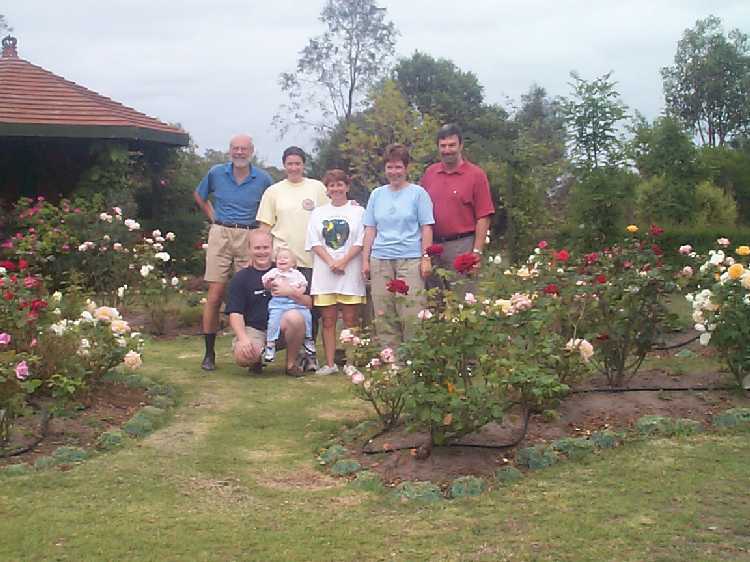 Barbara and I went to Adelaide to spend Christmas 2000 at Angaston, One Tree Hill and Elizabeth, with Angela, Kim and Daniel and their families.